The holidays should be joyous. It’s ironic, then, that they can be the most stressful and expensive time to travel. Indeed, crowded airports, canceled flights, and frustrated travelers are as synonymous with the holidays as turkey, dreidels, and reindeer. Over the past few years, airlines have managed to make holiday travel even more stressful, thanks to a phalanx of new fees and charges. Gone are the relatively good old days of inflated holiday airfares. Now is the era of inflated fares plus endless extra charges. While avid budget travelers may be compelled to avoid fees no matter the circumstance, this might be the one time of year when paying extra to get a little extra may be worth it. I’ve taken a look at seven of the most annoying fees to see if paying any of them would help take the edge off holiday flying. Pros: In some respects, it’s a lot easier to pack everything in a suitcase and simply hand it off at check-in. This avoids the nuisance of complying with the 3-1-1 rule, and the hassle of finding space in the overhead bins. Travelers with children in tow may find it especially helpful to ditch the large carry-on in favor of a backpack. Cons: Just because airlines charge a fee doesn’t mean they’ll deliver bags on time—or at all. And for travelers flying with gifts packed in their luggage, a lost bag can ruin a happy holiday. Plus, with airports packed to the gills with harried travelers, there’s an undeniable pleasure in skipping the crowded baggage claim area and breezing out the door. Worth paying? Checking a bag during the holidays is likely more trouble than it’s worth. Flying home and bringing gifts? Wrap and mail them a few days before traveling, or purchase online and ship them directly to wherever Christmas morning happens to be. If a large suitcase is absolutely necessary, focus on a few standard procedures: Pack a few changes of clothes in a carry-on, and make sure any indispensables, such as a toothbrush or deodorant, are in the carry-on as well. Also consider paying for curbside check-in, which is typically $2 or $3 and takes some of the hassle out of the process. Pros: Buying food onboard is a convenience many travelers would normally forgo, but during the holidays, the last thing some people want to worry about is fixing sandwiches before heading to the airport. In that case, forking over $8 or $9 can seem a small price to pay for a wrap or salad. Consider, also, that buying food onboard means not having to make space in the carry-on bag. Cons: Airplane food is filling (though sometimes barely), but that’s about it. No one will confuse an airline ham sandwich with gourmet fare anytime soon. Chances are most people can pack a better meal themselves, and parents of finicky children are taking a risk by relying on the airline’s offerings to do the trick. Worth paying? Parents flying with little kids may be better off packing food ahead of time. Let the children help plan the menu, and include a special treat that will keep them happy. Flying during the holidays can mean long days in crowded airports and on hot planes. Having the little ones’ favorite snacks on hand can go a long way toward keeping everyone sane. For everyone else, this is one instance where the convenience of buying food onboard or grabbing a sandwich at the airport is truly worth it. Pros: There’s really no “pro” to paying these surcharges. They’re virtually impossible to avoid, and provide no additional perk or service. But it’s worth noting that travelers with flexible dates can dodge the heftiest fees. For example, every day, save Christmas Day, between December 17 and January 3 comes with a surcharge. But travelers can avoid paying the highest surcharges if they fly December 17, 18, 19, 25, and 31, or January 1. It’s a small bit of sunshine, but at least it’s there. Plus not all airlines utilize these surcharges: Only American, Continental, Delta, United, and US Airways charge the fee. Cons: Holiday surcharges are a gouge of the purest form. Basically, the airlines recognize that people really want to fly on these days, and charge a premium for the privilege—as if paying jacked-up holiday airfares didn’t squeeze travelers’ wallets enough. As noted above, it’s nearly impossible to avoid paying the surcharges, especially in December. Worth paying? Not remotely. It’s a gouge pure and simple, with zero tangible benefit for the traveler. Having said that, consumers are handcuffed by the ubiquity of these fees, meaning the best option is to stifle any anger and grab the best fare for their preferred itinerary. Travelers can avoid the surcharges entirely by booking with carriers that don’t charge them, but don’t pass up a lower fare that includes a surcharge just to make a point. Pros: On a long flight, a blanket and pillow can be a godsend, the difference between arriving exhausted or moderately rested. Buying a pillow and blanket onboard means not having to cram either into a carry-on (at least on one leg of the flight), which is crucial for people flying without checked bags. The for-purchase sets come with the added perk of being brand new, as opposed to the reused pillows and blankets traditionally handed out before takeoff. Cons: Remember that a pillow/blanket kit purchased on an outbound flight has to be packed for the return journey. Worth paying? $7 for a travel-sized pillow-and-blanket set is actually a pretty good deal. Sure, nicer sets are available online or from travel stores, but often for two or three times the cost. How nice does a travel pillow need to be? Some airline sets also include sleep masks and other soporific accoutrements. Parents with young children, however, may consider bringing their kids’ personal pillows and blankets. Yes, it’s more to carry, but it’s a little piece of home that may help the young ones sleep on the plane. Pros: Comfort, comfort, comfort. Is there really more to say? Having space to stretch out and nap during a long day of connections, delays, and crowds is luxury par excellence. Cons: Aside from the cost, there’s no real downside. Worth Paying? On a short flight, maybe not. But considering all the hassles associated with holiday travel, springing for extra legroom is a justifiable expense, especially on long flights. Along those lines, the holidays are a good time to splurge on a class upgrade. Some low-cost carriers, including Virgin America and AirTran (for now) offer reasonable first-class upgrades. Pros: Early boarding gives travelers access to wide-open overhead bins, a real advantage now that bag fees have prompted people to carry on anything short of a steamer trunk. Early deplaning is merely a function of seat location, and some airlines charge a premium for seats toward the front. The advantage, obviously, is getting off the plane quickly, which can be especially useful when making a tight connection. Cons: Having virtually unlimited choice with regards to overhead bin space is nice, but aside from that, there’s no real benefit to boarding first. In fact, early boarders spend more time on the plane, which is not typically a good thing. Deplaning quickly is great for travelers flying only with carry-ons, but pointless for anyone heading to baggage claim. Worth paying? For the most part, probably not. Travelers flying with just a carry-on may find the fee worthwhile. But the people who need early boarding most—parents with small children, disabled travelers—already get it, and the reward for deplaning first is…waiting longer at the baggage carousel? Hardly a prize worth paying for. Pros: Time flies when the TV is on, and this is especially true for kids. If the difference between a smooth flight with a calm child and a tortuous slog with a cranky monster is a $5 movie, well, is there anything to debate? Cons: Depending on the airline, selection may be limited, meaning it’s a risk to rely on the airline to provide something suitable and appealing to watch. If the airline doesn’t have seatback TVs, it may be difficult to get a good view of the screen, especially for little kids. Worth paying? Absolutely! 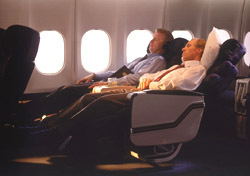 Even better, search out carriers with seatback TVs and free entertainment, such as JetBlue and Virgin America. But regardless, $5 or $7 for a movie is a bargain if it helps pass the time, and that’s true for kids and adults alike. Is any fee ever worth paying? Are there any you would consider paying, especially during the holidays? Leave a comment below with your thoughts.